Not everyone will get what they want this Christmas. Since East Coast FM began their give a gift campaign, the demand on Vincent De Paul has increased considerably- so we need your help more then ever. We’re asking you to get involved in the East Coast FM/St Vincent De Paul“Give A Gift” campaign to make a change. 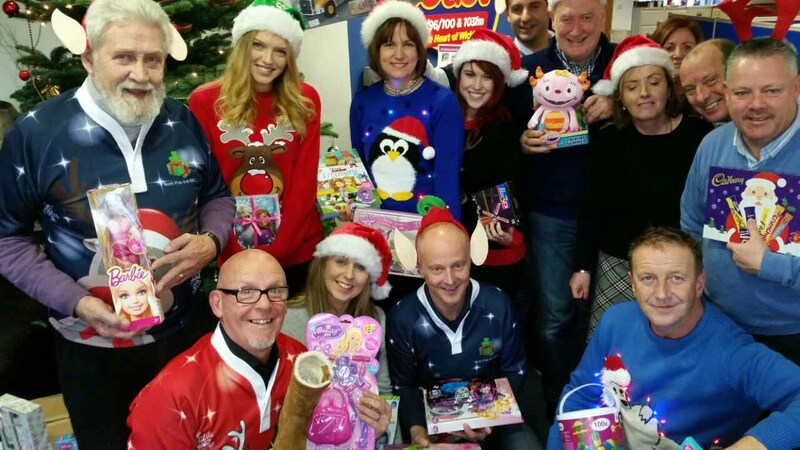 To take part simply drop a new unwrapped gift/toy worth a minimum of €10 into the East Coast FM studio’s in Bray (Radio centre, Killarney Road, Bray). We need presents for all ages, girls and boys, men and women, babies, teenagers, toddlers and adults. Please put a gift tag on your present to specify who it is meant for, gender, age etc. All the gifts will be distributed by Vincent De Paul to the people who need it in County Wicklow. St Vincent De Paul ask that all toys/gifts are new, no second hand toys or unwanted/unused goods please. If you want to help by giving the gift of money, you can donate on line throughwww.eastcoast.fm/giveagift this donation will help someone who needs it in County Wicklow. If you need help and would like to contact the St Vincent De Paul in your area you can contact 0871738235 all calls will be treated completely confidentially.